It’s no secret that some drivers get so impatient with cyclists that they resort to bullying behavior or straight-out aggression. It’s often hard for the cyclist to find out who the aggressive driver was, and nearly impossible to have the driver brought to justice. That’s the problem the team behind Fly6 want to solve. 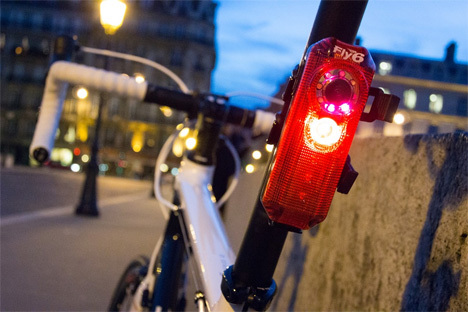 Their invention is an HD camera/tail light that fits onto the back of any standard bike. 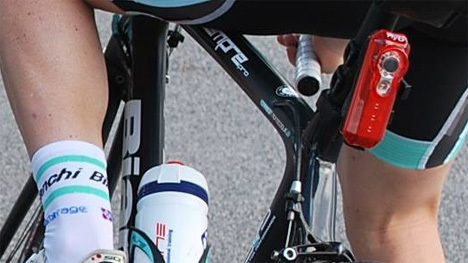 It keep the cyclist safe by lighting up their bike, but it also serves an equally important function: it records the actions (and license plate numbers) of drivers who are aggressive or careless around cyclists. The camera’s battery can last up to five hours and its 8GB SD memory card can record about two hours of continuous footage. The Fly6 isn’t all about the serious stuff – it can also be used when you’re riding with friends, exploring, mountain biking or just out for a leisurely ride. Overall, though, the Fly6 is meant to call attention to its camera to remind motorists to behave themselves while behind the wheel. The Kickstarter campaign for the project easily flew past its goal, proving that there are a lot of bike riders out there who see the need for increased security measures when they ride. See more in Camera & Video or under Gadgets. February, 2014.